Kirk's very short tunic at auction! Watch out! 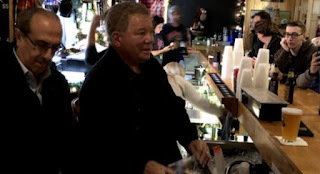 Bill's behind the bar!